Monday evenings from 7 – 8:30pm at The Bhakti Tree, 410 Maitland Rd, Mayfield, NSW, 2303. 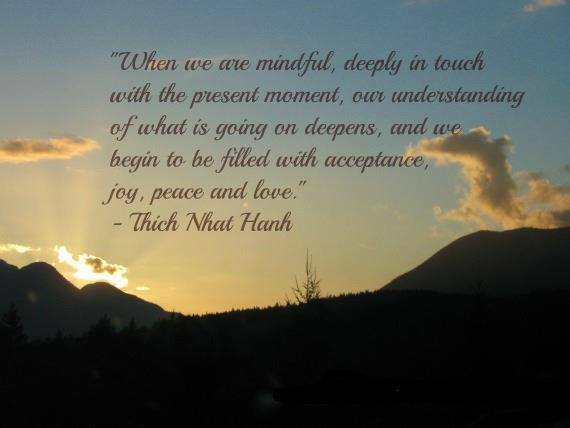 Whether you are new to meditation or an experienced practitioner, mindfulness is very easy to understand and practice. We are a community of people who come together to practice the art of mindfulness in the midst of everyday life. Our practice includes sitting and walking meditation, listening to inspirational teachings, deep listening and sharing from the heart. Inspiration comes from many sources of mindfulness. Everyone is welcome. Cushions and chairs provided (bring anything else you need to be comfortable). Donations are welcomed and will help resource our regular events and mindfulness library. Please get touch via www.facebook.com/sitinnewcastle or call Jen on 0497 075 899, if you have any questions.